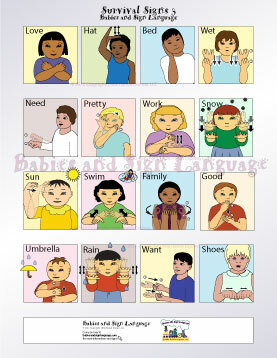 Get Baby's Hands Moving and See Into Their World! 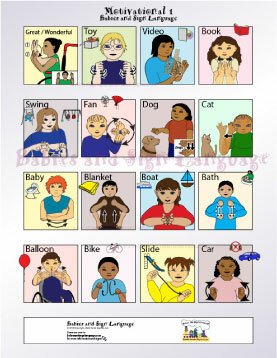 Start signing with you baby today with this complete set of Baby Signing posters! 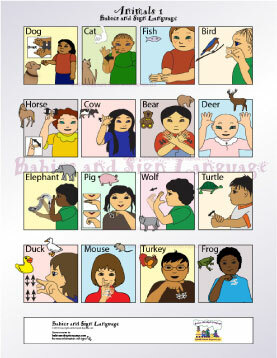 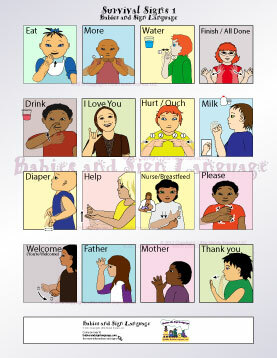 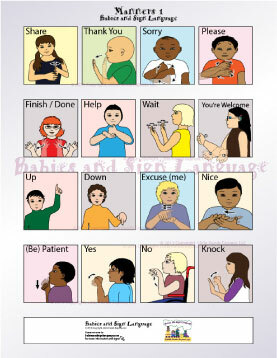 Each poster features custom illustration using realistic baby hand shapes and, when needed, additional inset illustrations to make it easy for you and your little sweetheart to learn. 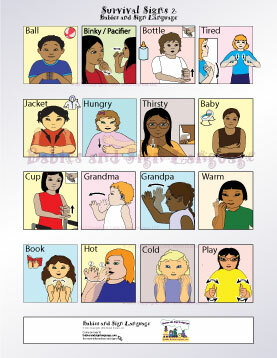 The posters are presented by topic, making it easy for you to post and use where you need them (i.e. 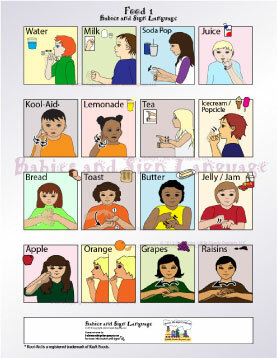 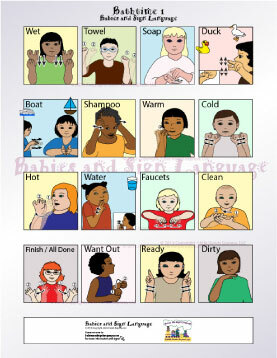 Foods poster in the kitchen or on the fridge, Bathtime Signs Poster may be displayed near the tub, Colors Chart can be posted in the playroom, etc). 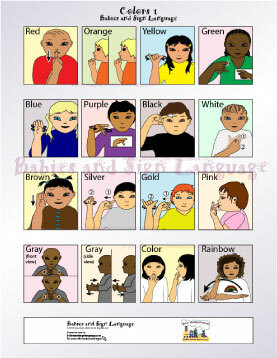 Each poster is meant to be printed at 8.5" by 11" (letter size), although you can print it larger or smaller by adjusting your printer settings. 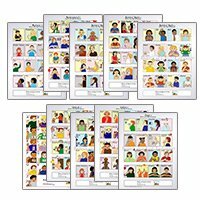 $29.99 - Digital Delivery - Get it delivered immediately after payment!